What a day Thursday, as the NBA’s trade deadline has come and gone. And the Cleveland Cavaliers have given the Broulis Beat Report plenty to talk about, in a positive manner. So, here we go! Let’s start out with who Cleveland sent packing and why. Point guard Isaiah Thomas – I’ll be the first to admit, I was excited about the acquisition of Thomas this past summer. I liked his game in Boston, and felt he might actually fit in well and play better sooner, rather than later. Now two things. First, I told some close friends of mine that I was worried about his hip. That is a very serious injury and with Thomas’ style of play, he could easily end up reaggravating the hip and the result could be bad, as in season ending bad, or worse yet, career ending. Thomas isn’t a big guy obviously, so taking hard hits and falls after taking contact by bigger players could eventually take its toll on the smaller Thomas. Second, Isaiah is playing for a new contract and has never been known as a decent defender. Now, from what I’ve both read and heard, Thomas was also a bit of a problem inside the locker room. Last week I started saying to myself, I think its time that this experiment with Thomas may need to come to an end. Then I said to myself, am I really saying I’d be fine with trading away Isaiah Thomas? Yes, yes indeed I was. And after watching Thomas play in 15 games in Cleveland, things just weren’t clicking at all for Thomas. What’s worse, is the team began to divide. Am I blaming Thomas for the Cavaliers latest struggles? Not all of them, but he just seemed to rub a lot of people inside the organization, both players and coaches, the wrong way. It started to sound like Thomas was a cancer within the locker room. 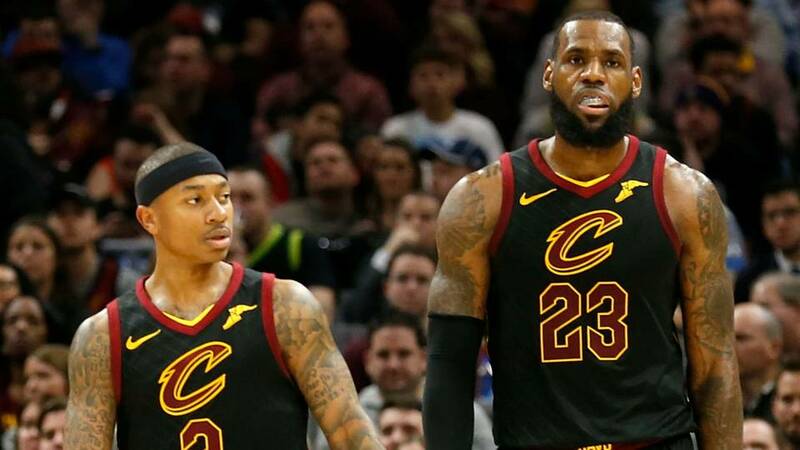 With all that said, Thomas refused to start out playing for the Canton Charge (Cleveland’s G-league team) and now that this trade has been made that sent Thomas to Los Angeles, his agent has already stated that, even though Thomas said he loves the idea of playing for the Lakers, he refuses to come off the bench. If you ask me, that’s not a great attitude to have. Needless to say, I’m glad they found a team that would take on Thomas and his attitude. Iman Shumpert seems to be way more focused on his career off the court. While Shumpert helped bring Cleveland a title in 2016, he’s been worthless for the most part, since getting a contract extension. Shumpert was viewed as a good perimeter defender at the shooting guard, but when you play shooting guard, doesn’t that mean you should be able to shoot the ball? Shumpert isn’t a good shooter and he went from playing 76 games in 2016-2017, to only 14 this season. So, a lack of shooting, focus and availability forced Cleveland to move on from “Shump” as the Cavs sent Iman and a 2020 second-round draft pick to the Kings. Jae Crowder, after never really playing up to the level he did in Boston, was sent to Utah along with Derrick Rose. More on Rose in a moment. Crowder was brought in for his defense and outside shooting ability. Let me just say that Crowder has been dealing with a lot. Crowder was traded to Cleveland 5 minutes before his mother passed away, and he was never given any hints that the Celtics were looking to trade him. Then, this was a brand-new team with new players. Jae started off good, but his game slowly started to go downhill. I wish him well. Cleveland finally got rid of some dead weight with including Derrick Rose in this trade. I’ve been asking and hoping for the Cavaliers to either trade or release Rose. He has nothing left to offer in today’s NBA. No defense, can’t/won’t pass, has never been able to shoot and Rose cannot stay healthy long enough. I’m sure the doctors at the Cleveland Clinic are sad to see him go, but I’m glad that he will no longer have a spot on this roster. The two guys I actually wouldn’t have minded to see stick around, but were traded away, were Channing Frye and Dwyane Wade.